Simply create tired presumably for beginner blogger like me who want to create their own blog, testimonies of the milling in the virtual world with the variations of different SEO techniques to information have created confusion immeasurably. But slowly but surely science was eventually found, one of which is to create links between existing posts in our blog which is one way to optimize search engine. If done manually in a link must be quite troublesome having to open the lid and then posts the link made​​. Well work that could be spent considerable time if necessary going all night bro when posting quite a lot to be made ​​of the link. 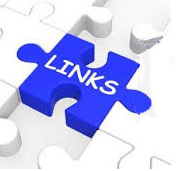 But not to worry bro, no clever techniques to create an internal link blog that term SmartLink, simply by putting the script below in the text of your blog template then automatically links between the posts will be created by itself. 6. Do not forget to change the url above, substitute with your own blog url is the place where the words that will make the link. 7. Make sure the words that will create a link between the posts, had been in every post that was made.